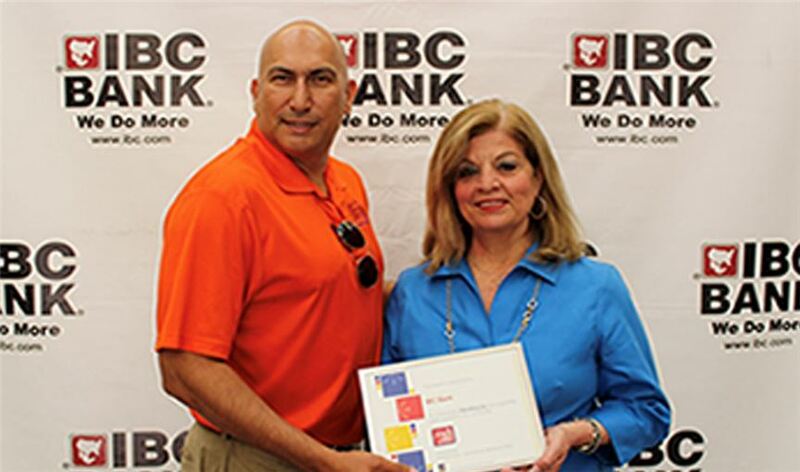 Ricardo Lopez, Superintendent of Mission CISD presents Dora Brown, Senior Vice President of Marketing for IBC Bank-McAllen, an award for her dedication to the IBC Minitropolis financial literacy program. Dora Brown, Senior Vice President of Marketing for IBC Bank-McAllen, was honored by the Texas Association of School Boards for her support of Texas public schools and its students. Ricardo Lopez, Superintendent of the Mission Consolidated Independent School District, presented the honor to Brown, whom TASB described her as an example to her community. Her name will be listed on the organization's website as someone who is "standing up for public schools." The TASB award is the latest in a long line of accolades recognizing Brown's community activism. This past December, she was nominated for AIM Media Texas' RGV Citizen of the Year Award for her dedication to the Minitropolis financial literacy program in McAllen. In 2016, she received the School Business Community Award from McAllen ISD. In 2015, she received the Alex Longoria Leadership Award from Leadership McAllen - recognizing her efforts to improve the quality of life for McAllen's citizens.